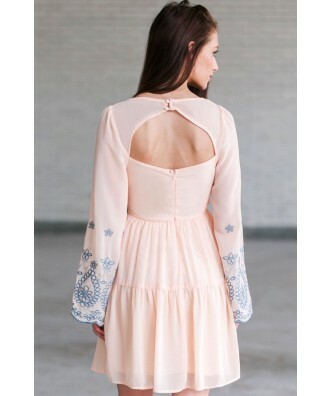 You have added Angelic Hippie Embroidered Bell Sleeve Dress in Baby Peach into shopping cart. FINAL SALE. This gorgeous flowy dress with embroidered bell sleeves has an angelic feel with a little bit of a bohemian touch. 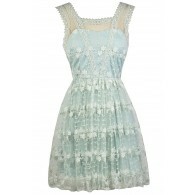 The Angelic Hippie Embroidered Bell Sleeve Dress is fully lined, except at the sleeves which are semi-sheer. It is made of chiffon and has a V neckline, a flowy paneled skirt, and bell sleeves. The contrast embroidered designs on the sleeves add an extra touch to this look. The cutout fabric in the back and hidden back zipper complete this dress. The Angelic Hippie Embroidered Bell Sleeve Dress is a cute dress for Spring, Summer, or Fall. Pair it with gladiator sandals and an oversized bag for a day look. Or dress it up with wedges or heels. Another option is to pair it with boots in the fall for a cute boho style. Details: Lined except at sleeves. Hidden back zipper. 100% polyester. Lining: 100% polyester. Dry clean only. Small measurements: Length from top of shoulder to hemline: 33". Bust: 30". 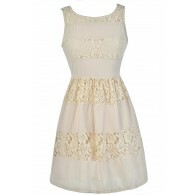 You have added Angelic Hippie Embroidered Bell Sleeve Dress in Baby Peach into Wishlist. 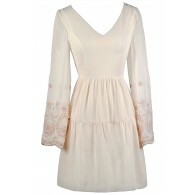 You have added Angelic Hippie Embroidered Bell Sleeve Dress in Baby Peach for Stock Notification. 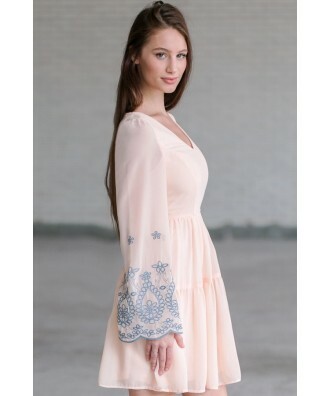 You have set Angelic Hippie Embroidered Bell Sleeve Dress in Baby Peach as a loved product. 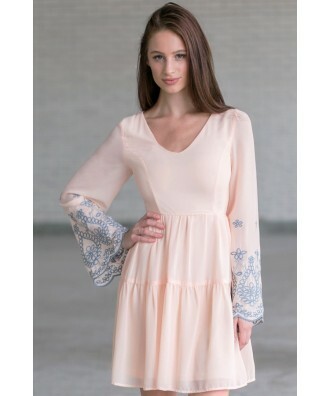 You have removed Angelic Hippie Embroidered Bell Sleeve Dress in Baby Peach as a loved product.